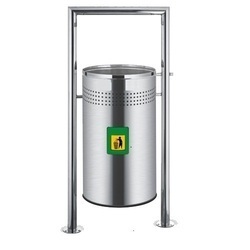 Our range of products include stainless steel color coded dust bin, stainless steel pedal dustbin, pole hanging bin, ash 'n' trash bin, bucket pedal bin and color round perforated bin. 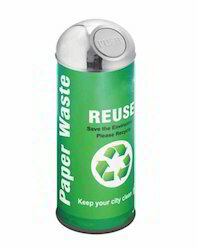 Liquids: Swing Lid, 2 Hole Lid, Rim Co Paper Cut Lid Etc. 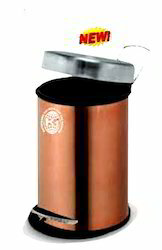 We are providing Pole Hanging Bin to our esteemed clients which can be availed in diverse designs, sizes and shapes as per the requirements of our clients. 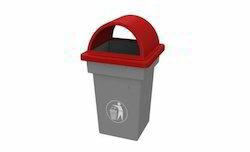 We are engaged in manufacturing high grade Ash 'n' Trash bins for the valuable clients, ensuring the timely delivery of the product with high grade quality with below mentioned specifications. 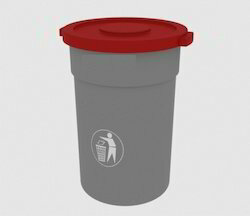 Lids: Swing Lid, 2 Hole Lid, Rim Cover, Half Hole lid, Paper Cut Lid Etc. 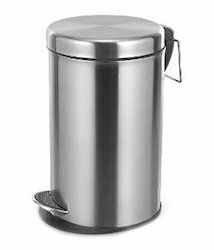 We are involved in manufacturing and supplying of high quality Push Can Bin to our esteemed clients, and our product is having below mentioned features. 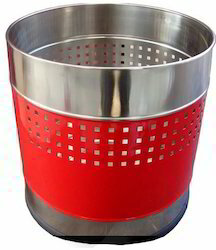 To furnish the diverse requirements of our clients we are involved in offering a wide range of Stainless Steel Planter Bin. These are well known in market for their eye catching finishing and reliable nature. 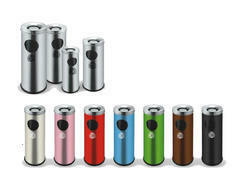 We offer these to our customers in different sizes as per their needs. These are developed using best material which we procure from the renowned vendors of the industry that ensures their durability. 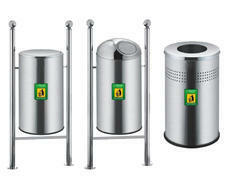 We are known to offer the Oval Shape Garbage Bin. 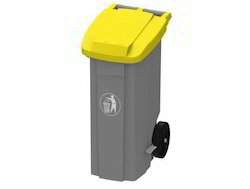 Sophisticated styling combined with compact structure and functionality,the bin makes for a suitable option in chic and modish spaces. It is constructed for high stability and occupies minimal space. 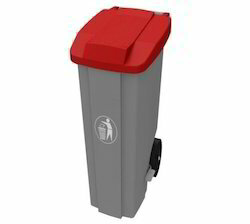 Slim Bin a space saving ¸waste management solution. 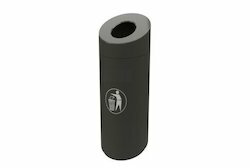 It has been designed to fit easily in tight spaces, be it under the office desk or besides the kitchens counter.The bin comprises a compact base and slim design, which make sit highly recommended product for tight spaces. 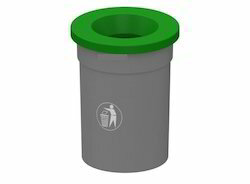 We are providing Pole Bin to our esteemed clients which can be availed in diverse designs, sizes and shapes as per the requirements of our clients. 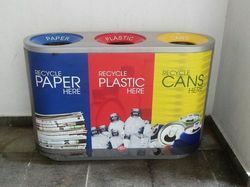 We are known to provide the Garbage Bin. 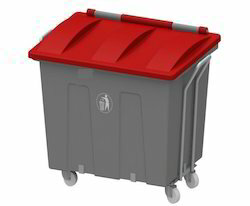 We are known to provide the Garbage Bin with Trolley. 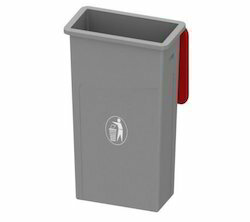 Built tough and convenient to maintain, the bin offers high capacity and easy access. 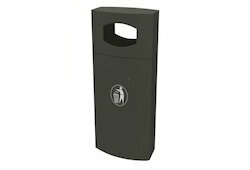 Designed for high traffic public areas, it is ideal for schools, collage, stadiums, parks, shopping malls and market streets and parks. 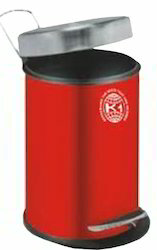 Built for efficient, Large Capacity waste collection,“King International”roller bins is easily maneuverable and High on functionality.The tough construction makes it easier for users to move heavy loads pick-up point. 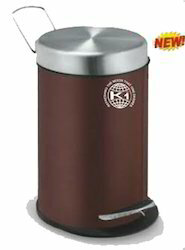 This “King International” Bins designed to meet all the needs of a high performing kitchen.